Carina Axelsson is half-Swedish, half-Mexican and grew up in California. After moving to New York she embarked on a jet-setting modelling career which saw her starring in advertising and magazine campaigns across the globe, including shoots for Vogue and Marie Claire. 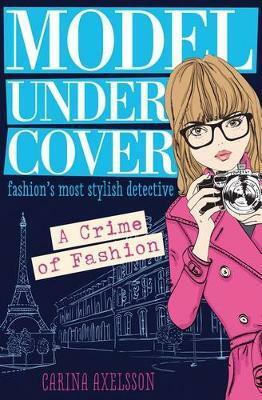 Later Carina moved to Paris and, after working as a PA to a well-known international fashion designer, began writing her first notes about a girl detective working in fashion.